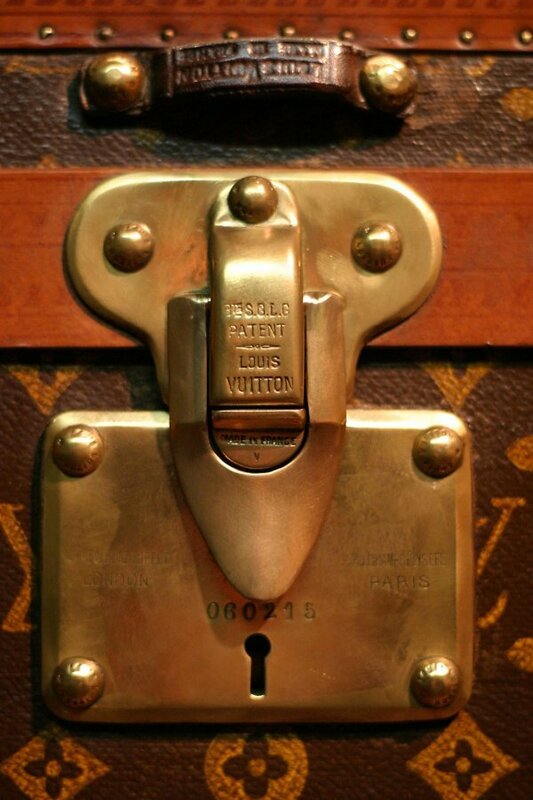 Probably the most famous of all luggage-makers, Louis Vuitton first started making luggage in 1854. Since that date Vuitton has been synonymous with luxury, chic and style. For over a century the main business was the making of trunks - but what trunks! From the simple flat 'courrier' trunk to the folding bed-trunk, from the World War One first-aid kit to the Lili Pons shoe trunk for 30 pairs of shoes. 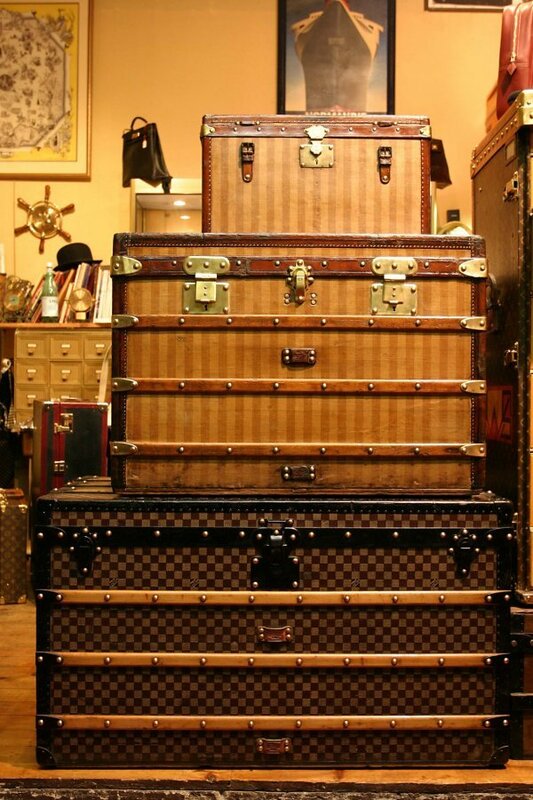 Trunks were made in several types of canvas and in leather but the most recognisable are the ones in the LV monogram. We sell all sorts of Louis Vuitton trunk, all shapes, sizes and canvases. We always have monogram trunks in stock and usually some striped trunks (1872-1888) and checked trunks (1888-1896). We may also have orange or leather trunks. The trunks we sell we have restored ourselves, and when you buy from us we will tell you exactly what, if anything has been replaced. We have been shipping trunks to clients all around the world for over 20 years without a problem - remember, trunks were designed to travel!